Everyone’s taste in wine as well as palate for cheese is different. That is what makes pairing cheese and wine such a personal effort. For the novice, it can be quite enlightening to discover how the taste of a cheese can vary depending upon what wine you sip immediately before and after you put a piece of cheese in your mouth. Invite a few friends over for a wine and cheese pairing party as you pair a few different cheeses with a few different wines. When you are serving a variety of cheeses, it will be unlikely that one wine will go with all cheeses. 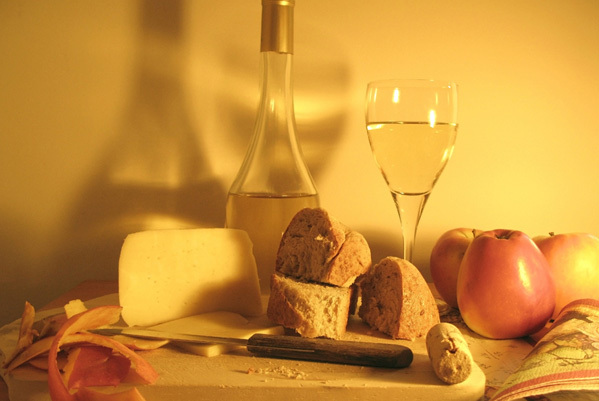 In general light fresh wines go with mild, fresh cheeses; stronger cheeses can stand up to stronger wines. Also, creamy cheeses pair well with sparkling wines and Champagne, as the bubbles help to cleanse the palate and refresh it for another bite. Some versatile white wines are Rieslings, Sauvignon Blanc, Champagne, Pinot Blanc, Pinot Gris, Gewurztraminer, and dry to sweet Muscat. Cheese-friendly red wines include Cabernet Sauvignon, Zinfandel, Syrah and Pinot Noir. Don’t forget beer and cheese tasting makes for a fun event too.